Webzen launches the long-awated second raid for The Extreme Dungeon: Bardiel Seal in the 3D Fantasy-Action MMORPG, Continent of the Ninth Seal (C9). 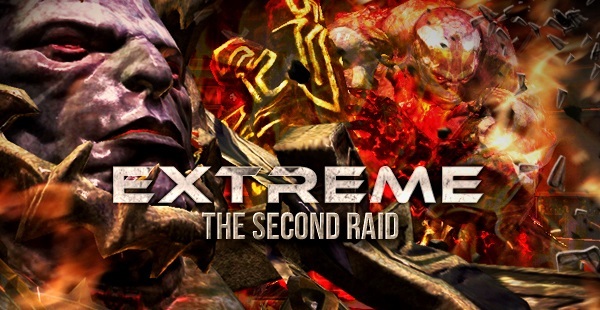 A few months ago, C9 players were tasked with defeating three raid bosses in the Extreme Dungeon – Creios, Molleck and the Rebecca Twins. Starting today after regular scheduled maintenance, players will face their most challenging conquest to date – battling Bardiel, the God of Fire, and returning him to his fiery prison. Ancient myth tells of a powerful being of pure destruction. Worshipped as a god by some and feared as a demon by others, all knew him as Bardiel, the God of Fire. Wielding immeasurable power, he brought chaos and flame wherever he went. Arguably the most powerful being any adventurer as ever encountered, Bardiel can easily turn his challengers to cinders and withstands brutal attacks with ease. Since he is a god, he cannot be destroyed, leaving Sarad’s reinforcements no choice but to seal him through mystical means if they wish to save Glenheim. The Extreme Dungeon: Bardiel Seal is located on Sarad, the Fifth Continent of Glenheim. A full party of 4 players is recommended to challenge the God of Fire. The Extreme Dungeon can only be accessed by characters that are Level 62 and above. Those who are strong enough to defeat Bardiel will have a chance to acquire mythical accessories that unlock additional powers when the entire set is completed. Players who collect the Sealed Book of Flames can obtain the most powerful armor in C9 – the Jin Armor.